Ellen Holloman is a partner in Cadwalader’s Global Litigation Group. She focuses her practice on representing financial institutions, corporations and individuals in civil litigation and at trial, and in related regulatory enforcement proceedings and corporate internal investigations. 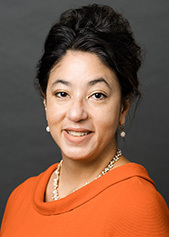 She has extensive experience in securities litigation, including derivative and class action litigation, in contract and post-acquisition disputes, and in employment-related claims, including for enforcement of non-compete, non-disclosure and confidentiality agreements. Ellen regularly advises companies, boards, special committees and investors in connection with corporate governance matters, including takeover defense and activist contests. She also frequently handles litigation arising from bankruptcy and financial restructuring matters, and has represented secured and unsecured creditors and debtors in Chapter 11 bankruptcy cases and out-of-court restructurings across a wide range of industries, including financial services, energy, shipping, licensing and apparel. Ellen’s practice routinely involves matters with complex cross-border intersections, including obtaining large scale overseas discovery under the Hague Convention and other agreements and conducting investigations in response to inquiries under the Foreign Corrupt Practices Act. She also has advised clients on Constitutional law matters, particularly First and Eighth Amendment jurisprudence. In addition to her civil litigation and trial practice, Ellen has significant experience with white-collar criminal defense matters, and has represented clients responding to regulatory inquires, requests and enforcement proceedings initiated by the U.S. Department of Justice, Securities and Exchange Commission, Federal Trade Commission, Federal Reserve, Federal Energy Regulatory Commission, Consumer Financial Protection Bureau, National Association of Securities Dealers, FINRA, Internal Revenue Service, the Office of the New York State Attorney General, New York Stock Exchange, European Commission, and the UK Serious Frauds Office, among others. Ellen is a frequent speaker and panelist on litigation, compliance, corporate governance and diversity and inclusion topics. She is a Lexis Practice Advisor author and has published articles with M&A Lawyer and the Harvard Law School Forum on Corporate Governance and Financial Regulation, among others. Prior to joining Cadwalader, Ellen was an associate in the Litigation Department in the New York and London offices of Sullivan & Cromwell LLP and a partner in a New York law firm with an active trial practice in state and federal courts. Represented two investors in successful campaign to replace entire board of directors with a majority female slate. Representing insurer in restructuring proceedings and related litigation under Title III of The Puerto Rico Oversight, Management, and Economic Stability Act (PROMESA). Represented activist investor fund in acquisition of an 8% stake in publicly held company and proxy contest seeking to elect three directors to the board. Represented largest investor in one of the world’s largest offshore drilling companies in restructuring over $8 billion in debt in chapter 11 proceedings. Represented activist investor fund in acquisition of a 6% stake in publicly held company and proxy contest seeking to elect 10 directors to the board. Representing citizens tax advocacy group, as amicus curiae, in litigation in New York state court challenging constitutionality of New York State tax code. Representing structured finance industry advocacy group, as amicus curiae, in litigation in Delaware Chancery Court related to consent decree proposed by Consumer Financial Protection Bureau. Representing recycling incentives company in general corporate and litigation matters, including contract disputes with private and municipal counterparties. Representing pro bono a graduate student escaping LGBTQ+ persecution in her home country and seeking asylum in the United States. Represented post-confirmation estate in litigation against former company principals resulting in post-trial decision finding fraud, breach of fiduciary duty, aiding and abetting fraud and breach of fiduciary duty, negligent misrepresentation, breach of contract, tortious interference with contract, and unjust enrichment. Represented debtor mortgage securities holding company in complex chapter 11 reorganization proceedings that included the settlement of outstanding multi-million dollar class action litigation, restructuring of $84 million senior note obligations, and acquisition during the proceedings of a new business that restored the debtor to profitability (deal was awarded Distressed M&A Deal of the Year ($10MM to $25MM) by M&A Advisor in 2017). Represented men’s active wear clothing designer in licensing dispute with licensee for athleisure clothing line. Represented electronic company and leading global provider of microwave tubes and other complex products and components in enforcing non-compete and confidentiality agreements with former employees and various corporate and general litigation matters. Represented start up technology and software companies in related SEC investigations. Represented Swiss investment bank in connection with customer lawsuit over broken trade. Represented sellers of organic candy company in post-M&A dispute with buyers. Represented and won absolute pardon for Vietnam War-era veteran for decades-old trespassing conviction arising from his seeking shelter in an abandoned building, while homeless and during winter. Represented amicus curiae—private research universities focused on STEM fields—in Fisher v. University of Texas; brief was cited by the Court in its decision. Represented Japanese commercial and investment bank in enforcing noncompete and confidentiality agreement against former employees. Represented Australian pharmaceutical company in class action securities litigation and related bankruptcy proceedings brought by shareholder alleging fraudulent statements and omissions in connection with FDA approval. Represented partner in New York State LLC dissolution proceedings. Represented construction company in dispute with labor union over dues audit. Represented hospital and research center in dispute with investor regarding removal of restrictive legend on share certificates. Represented technology company in fee dispute with former law firm. Won dismissal on behalf of a California-based Internet company of federal lawsuit alleging trademark infringement, unfair competition and false designation. Represented shareholder in books and records demand under Section 220 of the Delaware General Corporation Law, brought in Delaware Chancery Court. Represented directors in books and records demand under Section 220 of the Delaware General Corporation Law, brought in Delaware Chancery Court. Represented shareholder in Nevada state court in connection with lawsuit to compel corporation to hold an annual meeting and for declaratory and injunctive relief with respect to corporation’s unlawful bylaws. Represented investment fund in FINRA arbitration proceedings against prime and executing brokers concerning a share buy-in on foreign exchange. Represented a licensor prosecuting claims against licensee for breach of exclusive licensing agreement for U.S. and European rights to Japanese anime in expedited trial. Represented kitchen and homeware company in state and bankruptcy court litigations and arbitration proceedings following company’s acquisition of the Mikasa brand from French company. Represented shareholder in summary proceeding under Section 225 of the Delaware General Corporate Law to determine the composition of the board of directors of company, brought in Delaware Chancery Court. Represented broker-dealer and financial advisor in connection with FINRA examination concerning offerings of securities of Chinese companies and advisory services provided to those companies. Represented shareholders in dispute with chairman and CEO of defense contractor concerning wrongful redemption of shareholders’ investment. Represented an investment bank in state-court lawsuit brought by creditors' committee to bankrupt issuer, alleging fraud and breaches of fiduciary duty. Represented an investment bank in federal investigations and concurrent class action lawsuits in connection with underwriting and initial public offering practices, considered one of the largest securities class actions in history. Represented financial institution in connection with counterterrorism/OFAC investigation. Represented an investment bank in connection with grand jury proceedings arising from DOJ investigation into Internet-gambling-related transactions. Represented foreign-based manufacturer in connection with SEC investigations of transactions made with Iraqi Oil Ministry under the United Nations Oil for Food Program. Represented foreign-based manufacturer in connection with DOJ economic espionage investigation. Represented insurance company in state and federal First Amendment challenges to NY state insurance regulations. Represented Georgia, Florida and Texas inmates in post-conviction capital punishment proceedings.